We arrived by river taxi on Friday evening. 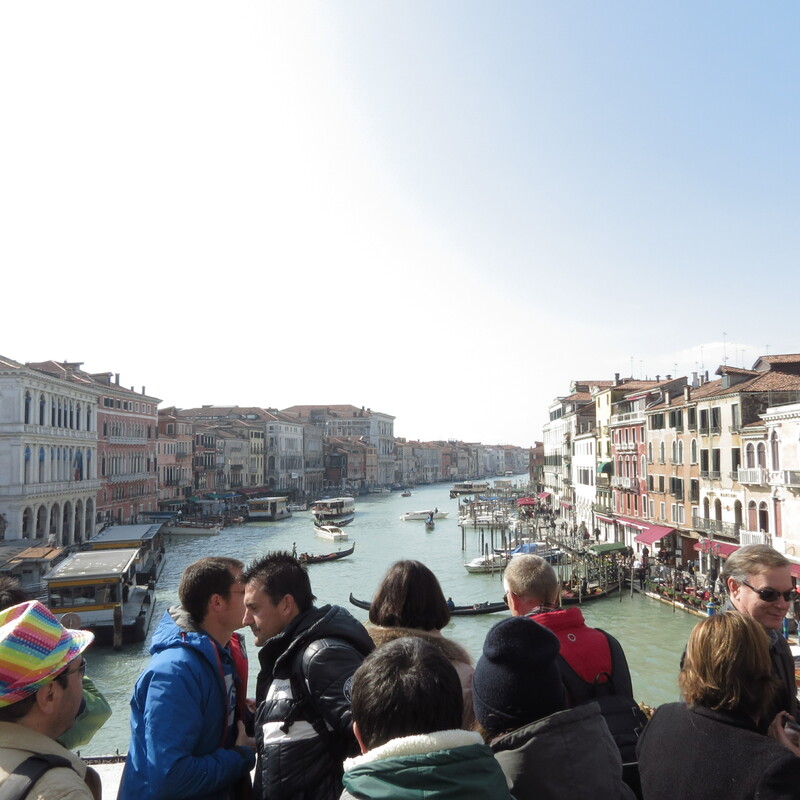 With no map, navigating our way around the streets of Venice was almost impossible. I guess you get the impression it’s a small city but it’s really not. 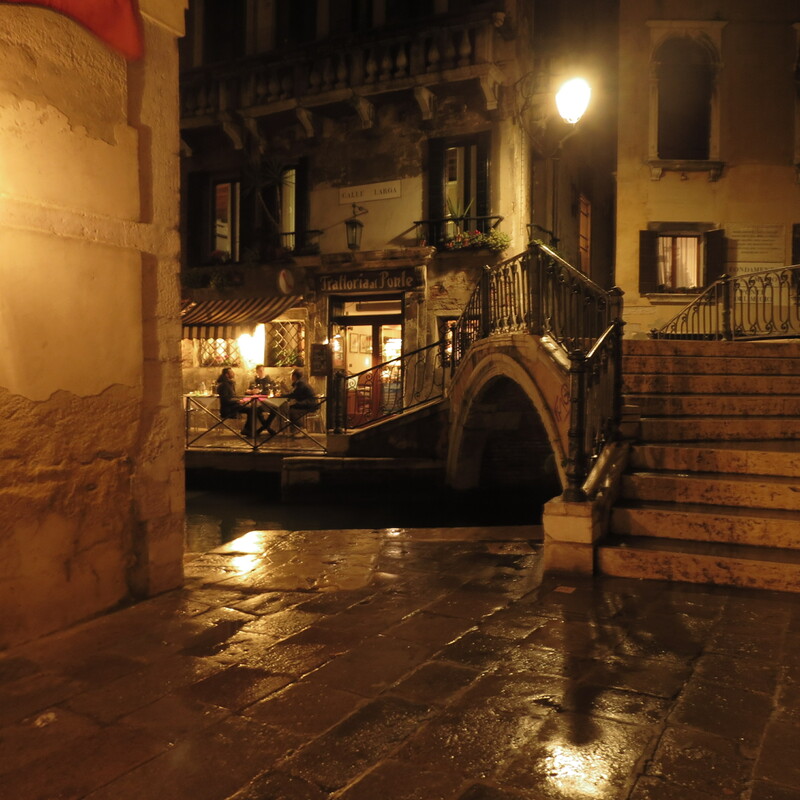 To begin with the narrow cobbled alleyways and winding canals all look the same. 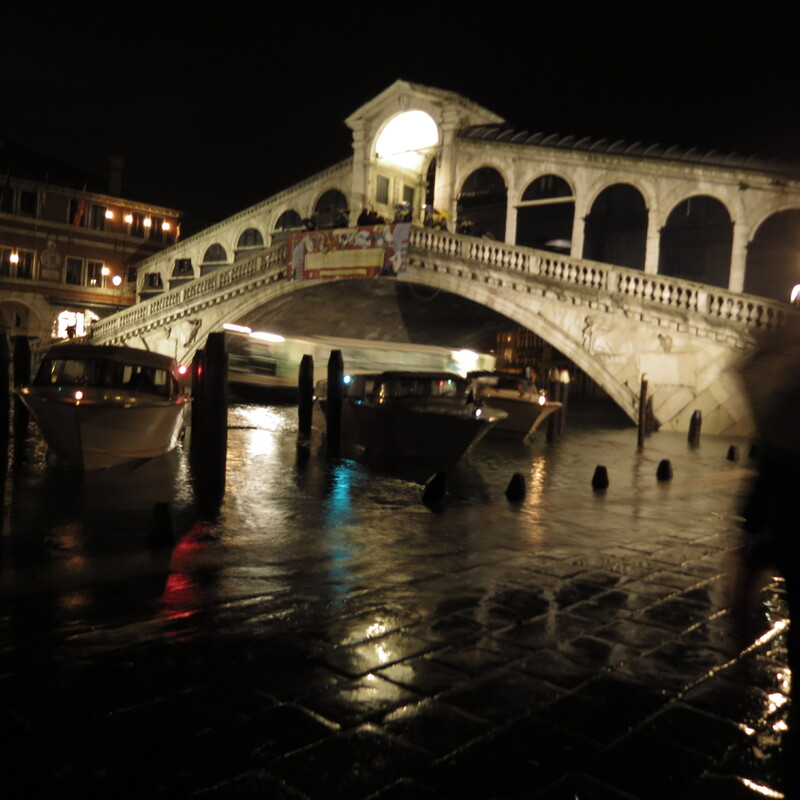 We walked around in circles for about an hour before stumbling across the quaint little Ca San Giorgio hotel. The ancient building was beautiful and unspoiled and our room boasted its own roof terrace. If only it’d stopped raining we might have been able to use it. Saturday was wet. I’m not sure that word is quite descriptive enough but it’ll have to do. 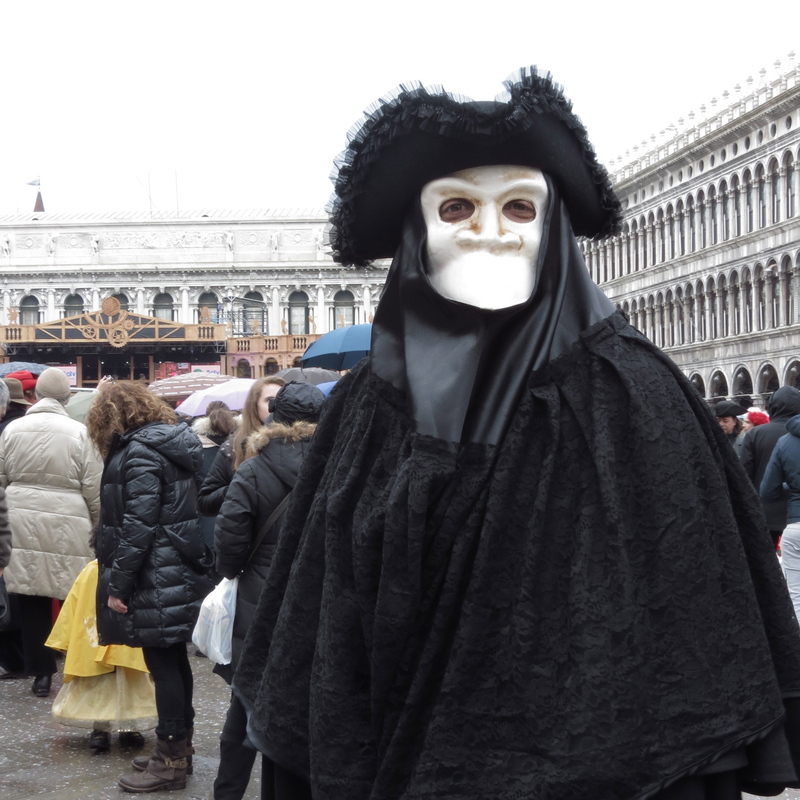 Many of the Carnival activities were cancelled but it didn’t stop the tourists from donning masks and many hardened Venetians from dressing in the most elaborate costumes. 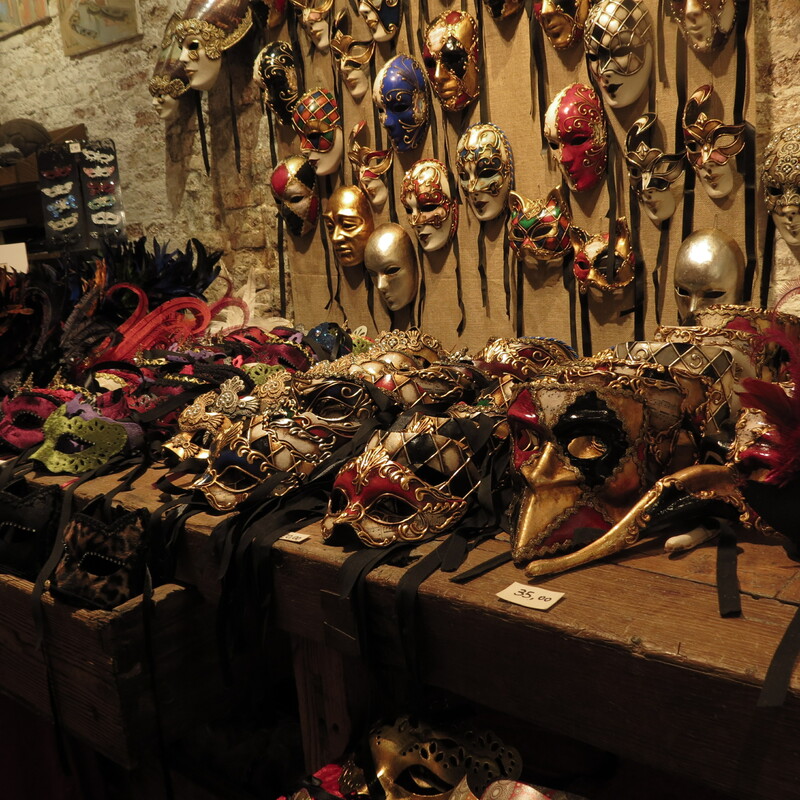 By night, Venice is the most mystical city on earth. With nothing having been altered in hundreds of years, it’s easy to imagine what things would have been like for past generations. The place is crawling with vampires. Okay, so that is only my imaginative opinion but with passageways which lead directly into canals (yes, nearly came a cropper) and derelict facades hiding the most awe-inspiring buildings, nothing is quite what it seems. 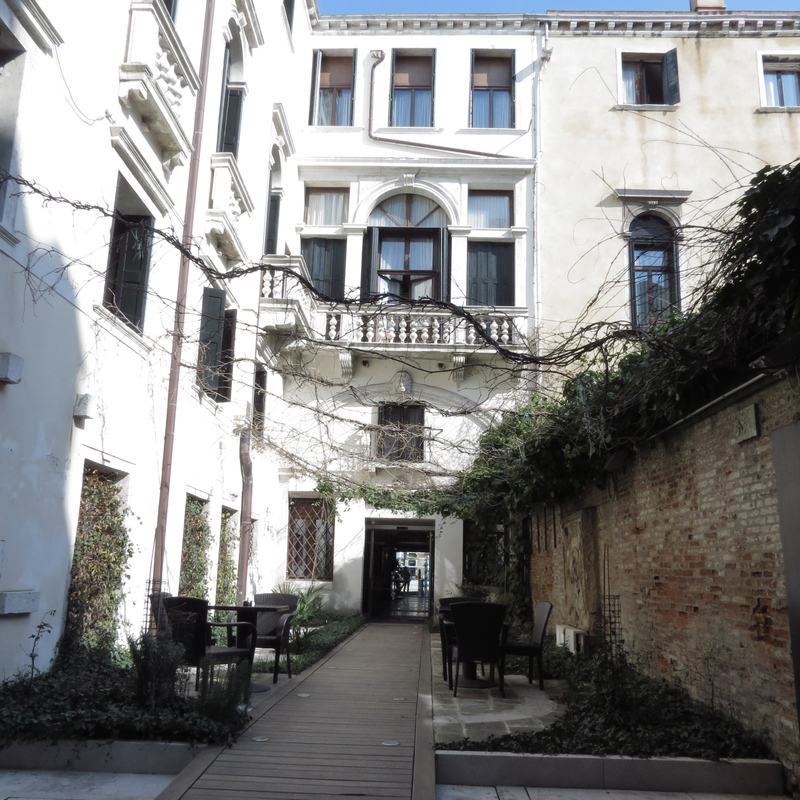 On Sunday, we stayed in the stunning Hotel Palazzo Giovanelli. With views over the Grand Canal this was a beautiful place to stay. Waking up to views of the canals is the way to start a day in Venice. The sun did eventually come out for us, and the city took on a whole new look. Brightly coloured buildings gleamed against the blue sky and the canal sparkled. 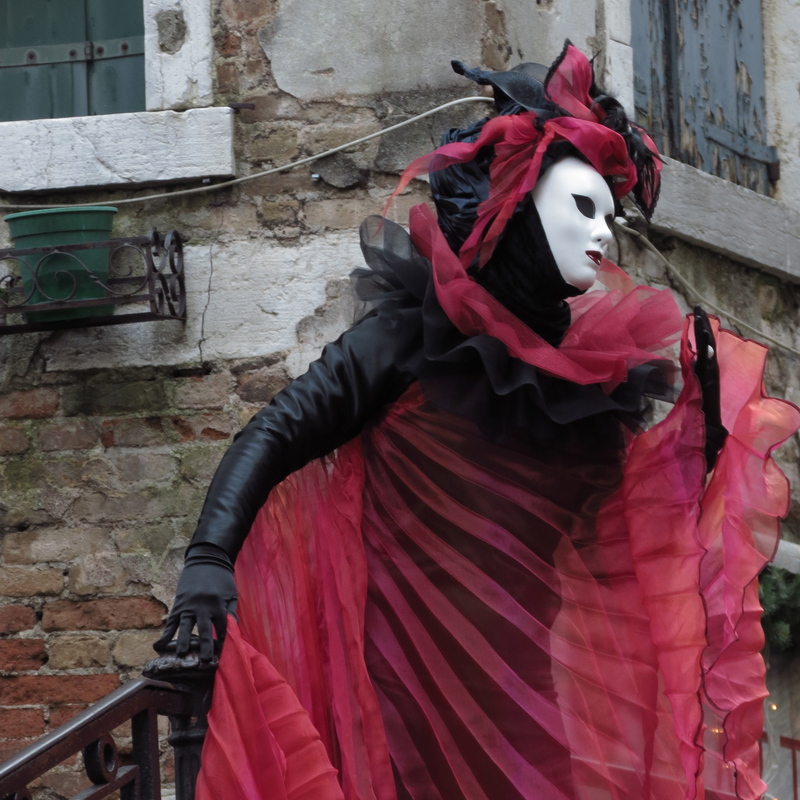 Squares filled with tables and chairs played host to the most beautiful characters. 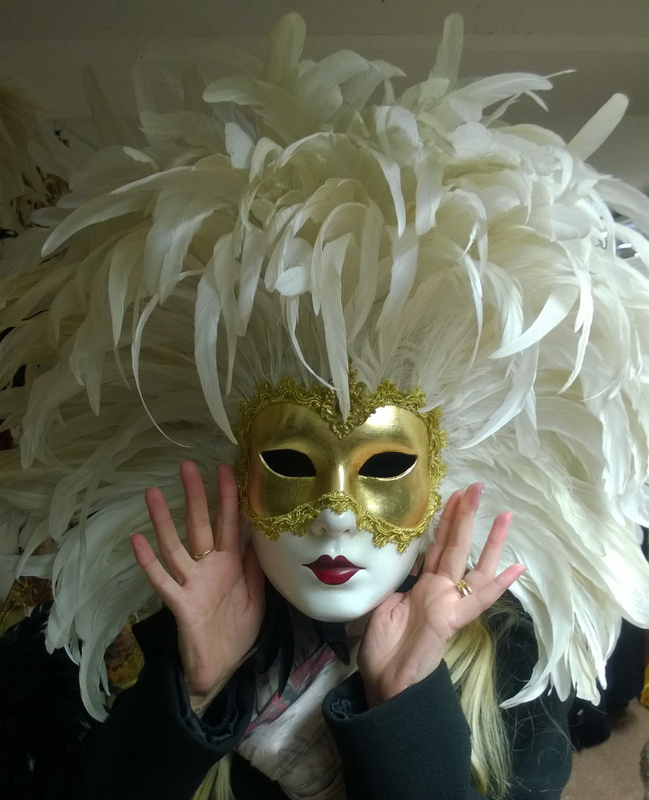 Venice has a hold over me. It always has, and I hope that comes across in my second novel The Vampire Katya.